Two researchers in the Department of Aerospace Engineering at Texas A&M University were recently awarded the Nakayama medal at the 14th International Conference on Fluid Control, Measurements and Visualization (FLUCOME) at the University of Notre Dame. Dr. Kentaro Hara, assistant professor in the Department of Aerospace Engineering at Texas A&M University, was awarded the 2018 Young Investigator Research Program (YIP) Award from the U.S. Air Force Office of Scientific Research (AFOSR). 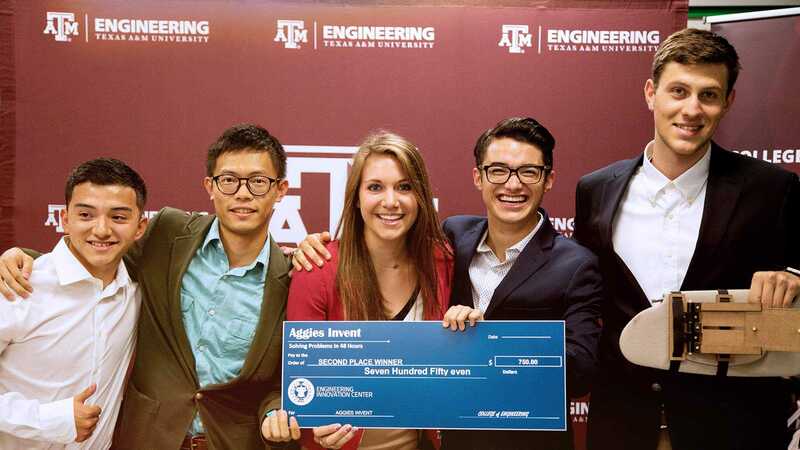 For most students, surviving the academic struggle that is engineering at Texas A&M University is enough of a challenge, but senior nuclear engineering student Jonah Haefner has never stopped challenging himself. A high-performing student and student leader, Haefner’s achievements have culminated into his receiving the Craig Brown Outstanding Senior Engineer Award. Dr. Daniel A. Jiménez, professor in the Department of Computer Science and Engineering at Texas A&M University, has been inducted into the Institute of Electrical and Electronics Engineers Association for Computing Machinery International Symposium on Microarchitecture (MICRO) Hall of Fame for his contribution of eight high-impact research papers. Rana Soltani-Zarrin, a doctoral student in the Department of Mechanical Engineering at Texas A&M University, was recently awarded the Fran O’Sullivan Women in Lenovo Leadership scholarship from the Society of Women Engineers (SWE) for outstanding academic achievement and strong engineering potential in her field. Dr. Alfredo Garcia has joined the Department of Industrial and Systems Engineering at Texas A&M University as a professor. Andrew Nelson, mayor of the city of Bryan and former Texas A&M University student has found during his time since graduation that a degree in mechanical engineering can prepare students for a broad range of careers, including those outside the traditional engineering industry. Michael Harrison, Adrian Diaz, Erin Peterson and Catalina Ramos were part of the team sponsored by General Electric Oil & Gas that won first place for the spring 2017 capstone senior design course in the industrial and systems engineering department for their project on Lean Six Sigma, a methodology that is continuously engineering the production system to be efficient (“waste” free) and systematic (variation free). Dr. Nickolaus Bruno ‘15, a former teaching assistant in the Department of Materials Science and Engineering at Texas A&M University, has accepted a tenure-track faculty position at the South Dakota School of Mines and Technology. Dr. Xiaoning Qian is collaborating with researchers from Texas A&M AgriLife on a project that aims to develop systems-based high-tech solutions addressing the needs of farmers and processors for sustainable and healthier supply chains for fruit. Dr. Shankar Bhattacharyya was one of the invited distinguished speakers to deliver a keynote address at the 2017 National Congress of Automatic Control, jointly organized by the Mexican Association of Automatic Control and the Universidad Autónoma de Nuevo León in Monterrey, Mexico. Dr. Pushkar Lele, assistant professor in the Artie McFerrin Department of Chemical Engineering at Texas A&M University, was recently awarded a single-PI, research project grant (R01) from the National Institutes of Health (NIH). The R01 grant is one of the most sought after federal grants, and the leading NIH grant. Madeleine Durkee, research assistant and doctoral candidate in the Department of Biomedical Engineering at Texas A&M University has recently been able to travel the world, thanks to her successes here at Texas A&M. Thirty-four students from the Department of Computer Science and Engineering at Texas A&M University attended the 2017 Grace Hopper Celebration of Women in Computing (GHC). Dr. Natarajan Gautam of the Department of Industrial and Systems Engineering at Texas A&M University received the Fellow Award from the Institute of Industrial and Systems Engineers (IISE) at the IISE Annual Conference and Expo in May 2017. Twenty-five students from the Department of Computer Science and Engineering at Texas A&M University attended the 2017 ACM Richard Tapia Celebration of Diversity in Computing. Two graduate students working for the Department of Engineering Technology and Industrial Distribution recently won the Excellence in Societal/Technical Impact Award at the 2017 Global Grand Challenges Summit (GGCS) in Washington, D.C.
Five seniors from the Department of Mechanical Engineering at Texas A&M University are working together to develop clothes dryer technology to help astronauts save on clothes and supplies during future long-term missions. Dr. Dilma Da Silva, department head, professor and holder of the Ford Motor Company Design Professorship II in the Department of Computer Science and Engineering at Texas A&M University, served as co-chair of the 2017 Advanced Computing Systems Association (USENIX) annual technical conference (ATC) in Santa Clara, California, July 12-14. Cameron Cassidy, a senior in the Department of Computer Science and Engineering at Texas A&M University, does not let his visual impairment slow him down as he pursues a degree in computer science. Dr. Randy Hoff has been awarded the 2017 Distinguished Alumni Award in the Department of Industrial and Systems Engineering at Texas A&M University for his significant contributions in promoting the profession of industrial engineering. He is one of the youngest recipients of the distinguished alumni award. The Grand Challenge Scholars Program (GCSP) in the College of Engineering at Texas A&M University hosted Dr. Jenna Carpenter on Friday, Sept. 29 at a seminar on how success in the GCSP translates to success in one’s field. Researchers in the Department of Electrical and Computer Engineering at Texas A&M University are on a mission to help develop a bank of knowledge about electricity needs in the areas affected by Hurricane Harvey and create technology to quickly reconfigure power electronics intelligence at the network edge (PINE). Dr. Juan Garay, a professor in the Department of Computer Science and Engineering at Texas A&M University, is focused on understanding the fundamental properties of the blockchain data structure and protocol. Joshua Harris, a graduate student in the Department of Aerospace Engineering at Texas A&M University, was selected by the College of Engineering as the recipient of the 2017-18 Outstanding Engineering Master of Science Graduate Student Award. Mechanical engineering alumnus Ed Wulfe, ’55, has been named a recipient of Texas A&M University Association of Former Student’s 2017 Distinguished Alumnus Award. A Texas A&M University-led consortium of university and industry partners was recently awarded a National Science Foundation (NSF) Engineering Research Center (ERC) grant on Precise Advanced Technologies and Health Systems for Underserved Populations (PATHS-UP) for studying remote wearable technology to help people monitor and manage diabetes and heart disease in underserved communities. After Hurricane Harvey struck the Texas coast on Aug. 25, causing wind and water damage along the coast and the Houston area, a group of civil engineers worked to study and collect data about the geotechnical aspects of coastal impacts during the hurricane in an effort to prevent structural damage in the wake of a future storm. Four faculty from the Zachry Department of Civil Engineering at Texas A&M University received grants to research Harvey’s impact on different systems and provide essential data for future weather-related disasters. Texas A&M University and The Association of Former Students have announced the recipients of the 2017 Distinguished Alumnus Award, and among them are John M. Yantis, Ed Wulfe, General (Ret.) William M. Fraser III, and Craig Brown. Dr. William Schneider, retired professor of practice from the Department of Mechanical Engineering at Texas A&M University, has been recognized as part of the team that won the 2017 Invention of the Year from the NASA/Johnson Space Center Inventions and Contributions Board. The Department of Computer Science and Engineering at Texas A&M University welcomes seven new faculty members to the department. Han Hong, senior in the Department of Computer Science and Engineering at Texas A&M University, played an active role in Hurricane Harvey relief efforts in Houston, Texas. Three Texas A&M University professors are collaborating on a project that centers on what job recruiters are looking for in science, technology, engineering and mathematics (STEM) graduates. Dr. Xudong Zhang has joined the Department of Industrial and Systems Engineering at Texas A&M University as professor and holder of the Liollio Family Faculty Fellowship. Zhang will serve as the senior convener of the Health and Human Systems Engineering Group. He also holds a joint faculty appointment in the Department of Mechanical Engineering. Two faculty members from the Department of Engineering Technology and Industrial Distribution at Texas A&M University were recently awarded a $554,678 National Science Foundation grant to enhance the knowledge and skill level of Texas teachers in manufacturing to promote the science, technology, engineering and math (STEM) career interest for middle and high school students. Five students from the Department of Computer Science and Engineering at Texas A&M University participated in the MaratonIME International Collegiate Programming Competition (ICPC) Winter School, a programming contest training program held July 10-21 at the University of São Paulo in São Paulo, Brazil. 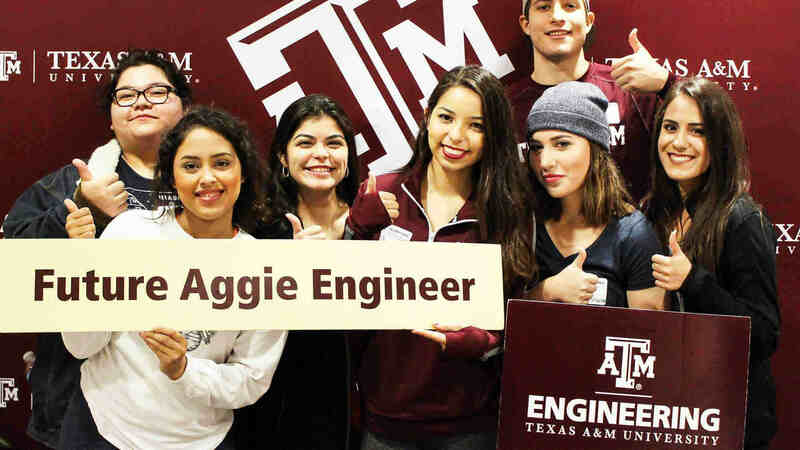 Eight female engineering students at Texas A&M University were recently accepted into the competitive Clare Boothe Luce Scholars Program, which provides funding for undergraduate research to talented female engineering students.